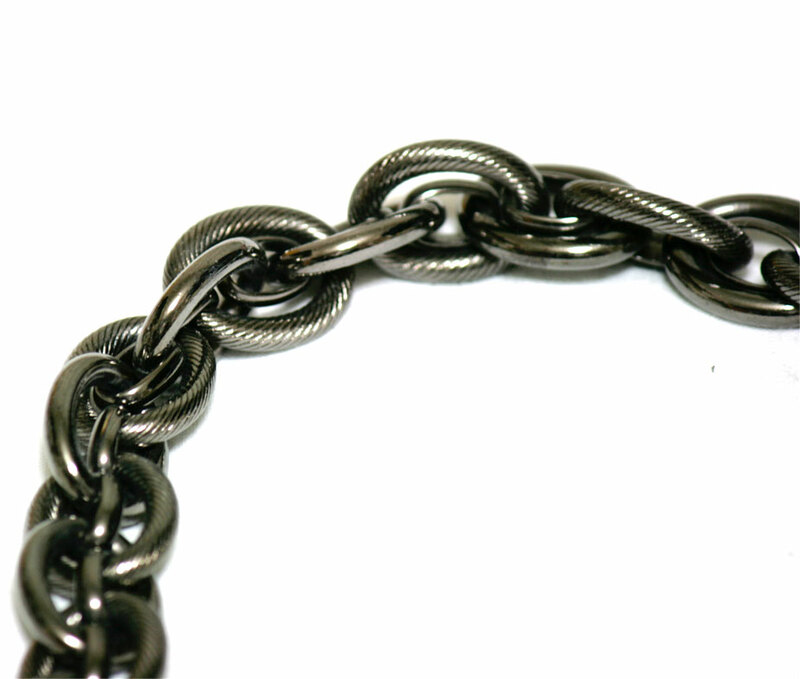 Super heavy chunky chain with multiple clips for holding anything you like. 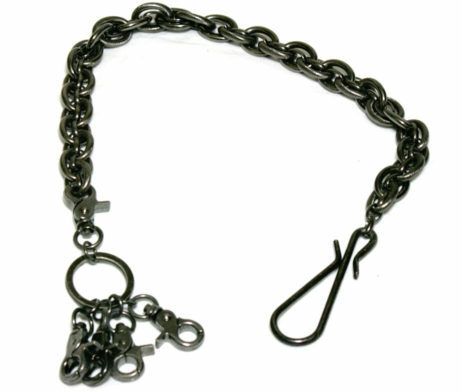 Can be used as a wallet chain, or attached to belt loops or a bag to more easily fish out those important and sneaky items. This item has been worn twice, there is some slight discoloration to a couple of the clips from motion but they are quite sturdy and undamaged.